Gold coins come in a range of sizes, from 1/20 oz to 2 oz and beyond. Buyers often face the same dilemma – should I get a few small gold coins or save up for a nice big one instead? We’ll look at some of the reasons behind buying different sizes, and why fractional gold coins are a must for any gold stack! The most popular gold coins sizes in today’s market are 1/10 oz and 1 oz. Yes, there’s the big difference in price (US$136.18 vs US$1237.09) and they are each at the opposite ends of the spectrum. Each however have their own merits. 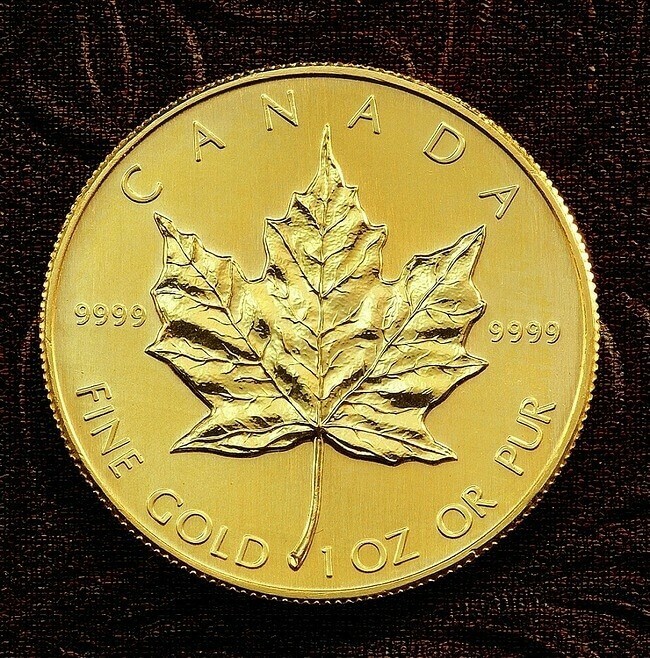 IT’S COMMON – The 1 oz gold coin is the most commonly known form of gold coins. The troy ounce is a common unit of measurement and easily trackable via financial news. VALUE FOR MONEY – 1 oz coins have a much lower premium than fractional gold (at around 4-9% above the current spot gold price). It costs less to produce a larger gold coin and buying in bulk does save. STACKING – For those who have really (really really) deep pockets, it would be easier to manage a few 1 oz coins as compared to many fractional coins. For those concerned about asset portability, having a larger coin would mean carry fewer coins and have more room for other things. WHAT A BEAUT – A 1 oz gold coin will never cease to amaze with its size and weight in one’s palm! Having the full size always beats a fraction or portion of it, being the top of the gold coin food chain. Besides, who doesn’t like a big, well-crafted piece of gold? LOW BARRIER TO ENTRY/AFFORDABILITY – Fractional gold coins are affordable for most people and easier to set aside spare cash for. 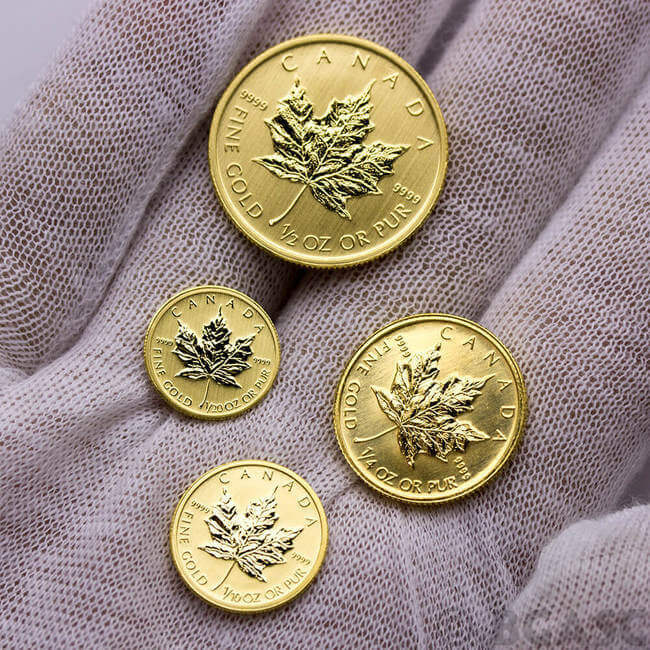 The Royal Canadian Mint’s smallest Gold Maple Leaf is the 1/20 oz coin, which costs US$87.75 (see also the smaller 1 gram Gold Maple Leaf that it recently released). Though very tiny, it’s still a gold coin and won’t break the bank. VARIETY – Fractional gold coins are available in a variety of sizes – 1/20, 1/10, 1/4, 1/2 oz. You will always have a gold coin to suit your budget and taste! POPULAR WITH THE MASSES – Knowing your potential buyer market is important when choosing your gold coin size. Researching the popularity of each coin size is a must. You wouldn’t want to have a coin that can’t be sold due to the lack of buyers. I’ve heard stories of retailers who can’t move their 1 oz gold coins (or gold bars above 50 g) due to their high price tag and are forced to sell them around spot. Yet, their 1/10 and 1/4 oz coins sell like hotcakes. LIQUIDITY – Those who fiercely defend their position in fractional gold often cite liquidity as the prime consideration when buying fractional gold coins. As easy as it is to convert cash into gold, the opposite cannot be said to be true. It is even more important that a suitable buyer (or pool of buyers) can be found when the time comes to sell it. A reality of the gold coin market is that not everyone can shell out a thousand dollars for a gold coin, but any man on the street can definitely afford a 1/10 oz gold coin at US$135. 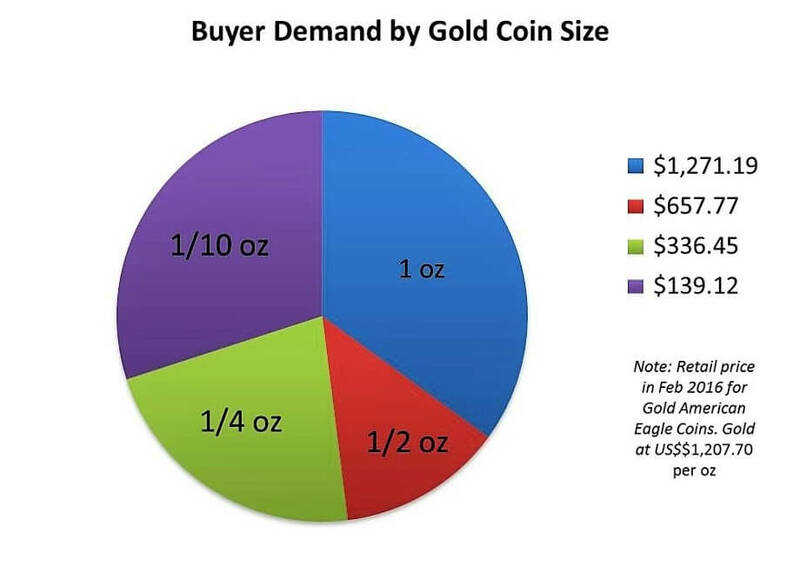 There is a good demand for both 1 oz and 1/10 oz gold coins, but lesser demand for 1/2 and 1/4 oz coins as they are slightly more than what people are prepared to spend at one shot on gold. Naturally, the market for smaller gold coins would be much larger given that there are more people who partake as buyers and sellers. As some doomsday advocates would tell you, when the SHTF, you wouldn’t want to be bartering for potatoes with a full gold ounce coin would you? Having the full 1 oz gold coin offers benefits such as lower premium, good size and easier portfolio management. Accumulating enough cash to buy a gold coin might take a while for many, but is nonetheless worth the wait if your objective is capital preservation or having gold just for its value (i.e. you’re not so into the design of the bullion/coin). 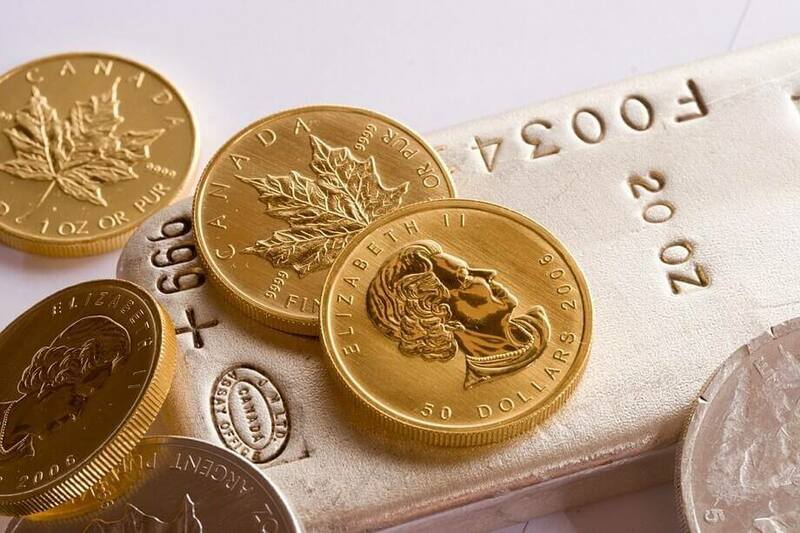 Supporters of fractional gold coins would cite liquidity, variety, affordability and bigger buyer market as some of the key reasons for purchase. Fractional gold coins do however come at a higher premium and may not be as aesthetically pleasing since they are much smaller. One last note about fractional gold coins. Some might initially stay away from fractional gold coins initially because their higher premiums, but not to worry so long as you choose your coins carefully. Some coins may have a higher premium to begin with but this premium is usually retained when selling. Choose coins such as the Perth Mint’s Lunar series, which are recognised around the world and feature a different zodiac animal each year. These coins have a strong following base and they do gain value year on year. Don’t worry too much about going into fractional gold coins – having some gold is still better than no gold! And if you’re lucky enough to be able to afford the full ounce, do consider fractionals for a balanced and varied gold stack. Fractional gold and 1g bars. Fractional gold coins worth it? What weight gold bullion bars/coins do you prefer buying?